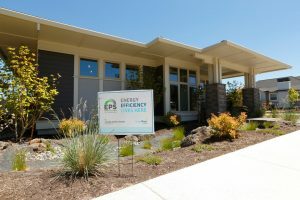 Energy Trust has updated its EPS Field Guide to help you better understand EPSTM requirements and earn an energy performance score for your homes, plus cash incentives. With the EPS Field Guide, you’ll be able to see exactly what it takes to build an EPS home and stand out in the market. The new and improved guide provides comprehensive details on all EPS requirements, along with best practices and recommendations that outline the path to greater home energy performance. The EPS Field Guide now clearly distinguishes the requirements from recommendations, and there’s a quick index in the back to make it even easier to confirm that your homes qualify. Currently, there are 13 main EPS requirements, although not all apply to every project. The 2017 guide also lists new requirements for the air barrier and air sealing checklist, recently developed by Energy Trust’s New Homes program specifically for EPS. Other enhancements include technical illustrations and photographs highlighting insulated headers and options for insulating slab foundations, plus requirements on how builders in Southwest Washington can earn an EPS for qualified homes. Click here to download your free copy of the EPS Field Guide. You’ll also find links to online trainings that cover specific EPS requirements, and other helpful resources. For more information, contact the New Homes’ trade ally coordinator at 1.877.283.0698 or by email.